The New Age practice of Reiki (ray’-kee), which originated from Japanese Buddhism, is rapidly growing in popularity in America—in our health care fields, in storefront suites, colleges, and some churches. 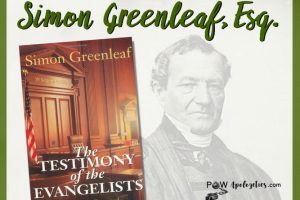 Although this so-called “spiritual energy healing technique” may seem helpful, it is harmful, for God’s promises are true, and His warnings are real. A hairdresser friend of mine (an unbeliever I’ll refer to as Shannon) recently told me she was going to attend a “Reiki retreat” that weekend. Her description of Reiki sounded New Age-y. So I decided to research the matter on her behalf. One role of the Christian apologist is to expose spiritual deceit so people aren’t led astray into error. I felt I had to do something for my friend immediately. She was even entertaining the idea of becoming a Reiki practitioner. I prayed for Shannon and wrote her a friendly letter of warning. Following my blogsite theme—to present user-friendly apologetics and to speak truth in love—below is a sample letter for your use to dissuade someone who’s ready to embrace Reiki. It’s based on the letter I sent Shannon, which you could customize. For example, to fit a believer, you could delete the introductory portion explaining the spiritual battle for souls. After talking to you today about Reiki, I changed my plans and hurried home to research it. I needed to know if it was a New Age practice. And now I’d like to share with you what I found out, so you can make an informed decision about embracing it … or not. First, please know that I really care for you and admire you as special woman with a delightful personality. So that’s my motive for gathering and sharing this info. Sorry this letter is a bit lengthy, but maybe you could grab a cup of hot tea or coffee and find a nice high-back chair to sit in as you read it. I discovered that Reiki is a form of New Age practice, developed by a Japanese Buddhist monk. Reiki can sound quite appealing at first—especially to wonderful people who are suffering physically, or compassionate people who want to help others in need. First, I’d like to describe the “Battle for Souls,” so the rest of my letter will make more sense. I wish I had known years ago about the big picture, as God revealed in the Bible. There’s a spiritual battle going on for the soul of every man, woman, and child. The kingdom of darkness (the Devil and his unholy angels) is wrestling against the kingdom of light (God and His holy angels). Satan hates God and hates people—and thus tries to keep us spiritually dead in our sins forever (Ephesians 2:1–9). However, God loves all people, whom He created in His own image—and thus offers to make each of us spiritually alive by His wonderful grace, through our faith (vv. 8–9). 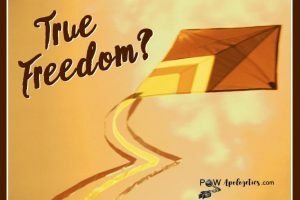 Although Satan is no match for almighty God, people do have a free will. But here’s a marvelous thing: Whenever someone chooses to believe in Jesus Christ, trusting in Him for salvation, he or she is instantly translated from darkness into God’s marvelous light, forever (1 Peter 2:9). That’s what the war is all about—as shown by the various worldviews and spiritual choices that vie for our attention. What started this invisible war? Originally, our loving God created people and the world perfect (Genesis chapters 1–3). But the world and humanity “fell” when our original ancestors (Adam and Eve) sinned in the garden. As a result, we inherited a sinful (self-centered) nature, and sickness and death entered the world. No one could get to heaven by earning it or deserving it (since God is holy and we were not), so we needed a sinless Savior to rescue us. Next, here are some dangers and risks associated with Reiki. I also learned that when physical healings and/or sensations occur through Reiki practices, it happens by people tapping into the realm of the occult and “channeling” spirit beings that aren’t from God. 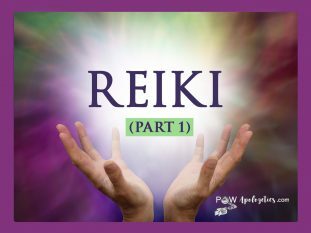 Even in The Everything Guide to Reiki, author P. L. Desy acknowledges that, “Many Reiki practitioners report having verbalized channeled communications with the spirit world.”6 Yikes! [Name of friend], may I make a suggestion for you to consider? Maybe take the time you had planned to go to the Reiki class and spend it in a lovely location such as the mountains or the beach. Then read the book of John in the Bible and ask the Lord Jesus to speak to you (to your heart). He loves you “off the chart” more than words could express. That book contains many of Jesus’ very own words to us and includes His mighty miracles, e.g., His (historical) resurrection from the dead. Here are things I learned about “Therapeutic Touch” and related practices. These techniques enable entry into the supernatural or paranormal, where there is potential to communicate with angels or spirit entities. What promoters of energetic healing modalities like Therapeutic Touch fail to say is that the entities or angels one may meet on one’s metaphysical journey are fallen ones [demonic beings]. … That Therapeutic Touch is frequently associated with [occultic practices] is not immediately apparent to novice practitioners. Consequently, New Age deceptions are subtle and alluring. For example, they can ensnare people who are unaware that altering their state of consciousness (e.g., through visualization or mantras) can open a window to the occult. I remember an incident when I was a naive young mom with a baby boy. I visited a clairvoyant to find out the future, such as what would my little guy grow up to be. The woman contacted spirit guides and gave me answers. I do remember that one prediction (which didn’t occur) was that my baby would grow up to be an architect. Looking back, I wish someone had warned me about the dark occultic realm. Although I didn’t have a clue about it, praise God, He protected me and led me away. Many years later, I ended up in a Bible-believing church where I got spiritually “saved” or “born again” (John 3:3). The enclosed pamphlet (referred to above) explains this regeneration. We can become new creations in Christ (2 Corinthians 5:17)! Then eventually, I graduated from Bible college and from a Christian graduate school. I’ve walked through life with the Lord Jesus for ________ years now, and I’m thrilled to say: He is so real. He is a personal God. He loves each of us unconditionally. And He is “awesom-azing”! So, in conclusion, [name of friend], I’m sorry to disappoint you about Reiki. And I know this letter contains a lot to think about. But please know that I’d be blessed to be available to you, to answer any questions about the living God who loves you deeply and has a great plan for your life that doesn’t involve Reiki. Or I’d be happy to “disciple” you in knowing more about the Bible and knowing our magnificent Savior personally. Just let me know if and when you are ready. My cell is _____________. p.s. Below is a list of some of the resources mentioned in this letter. 1“Why Become Born Again?” is a gospel tract available on my evangelistic website TrueWayTracts.com. 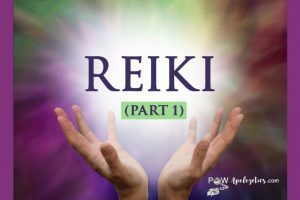 2A composite description based on Reiki website articles. 3Excerpt from Marcia Montenegro’s email to me on 8/8/18. 4This article is posted on Marcia’s website ChristianAnswersForTheNewAge.org. 5Marcia Montenegro, SPELLBOUND: The Paranormal Seduction of Today’s Kids (David C. Cook, 2006). 6-7P. L. Desy, The Everything Guide to Reike (Simon & Schuster, 2012). 8The apologetics brief and Awesom-Azing God apologetic-devotional book are posted on my website (see footnote 1). 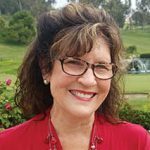 9Sharon Fish also co-authored Spiritual Care: The Nurse’s Role (IVP, 1998), and she teaches nursing research at the University of Rochester. which responds to Reiki promotional literature.